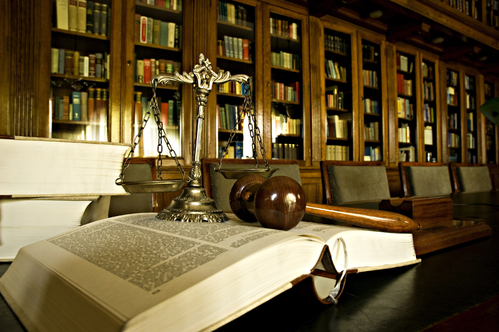 The Harr Law Firm offers extensive legal services in the Daytona Beach area. This family law attorney and his staff have served numerous clients by providing experienced legal representation. The Daytona Beach law firm was founded in 2005 with the intent of making a difference in Volusia County. The Volusia County Bar Association was founded to maintain the dignity and honor of the legal profession in the area. Its members practice law in good fellowship with each other while striving to educate each other and the public on important matters pertaining to the legal profession. The Volusia County Bar Association also helps promote improvements within the law and in the methods of administration. It hosts a variety of educational events as well as get together for members of the profession. The Harr Law Firm is now proud to be a member of that organization. You’ll find our listing under Daytona Beach family law. We take pride in our office, where we sit down with our clients and discuss their case with them. Our office is located at 517 South Ridgewood Ave, in Daytona Beach. It’s not far from the water, but it’s centrally located to ensure you can find it easily. Our reception area is inviting making you feel welcome as soon you as step in the door. There is a large conference room, which is helpful for meetings that involve a bigger group of people. There are several offices for the different employees that work with Jason Harr, giving each of them the space they need to give every case the attention it deserves. Jason L. Harr, J.D., M.P.A., has a nice welcoming office. It includes marble floors, high-end furniture, and beautiful artwork. You’ll also find pictures of Sinatra throughout the office. Mr. Harr invests back into his business, and his office is a reflection of that commitment to do what’s right for the law farm and the clients it serves. Mr. Harr has been practicing law in Volusia County since he graduated from law school. At first, he worked in the private sector, involving a variety of cases. In 2005, he founded The Harr Law Firm. His goal is to provide every client with honest and experienced legal representation. While many of his clients reside in the Daytona Beach area, Mr. Harr has represented clients from all over the state of Florida. The Daytona Beach community is very dear to this law firm. As such, they do their part in supporting a Daytona Beach charity, Light the Way. Light the Way is a non-profit organization founded by the Heaster family. They strive to meet the needs of cancer patients who are undergoing treatment in Volusia County. The types of services they provide include care packages, healthy meals, transportation, medical expenses, home cleaning, and thoughtful gifts. A close friend of Angela Heaster inspired her to help others in similar circumstances. The charity is aimed to connect patients with the right services and people to support them along their journey. Our experience includes personal injury law and family law, but we have also represented clients who were being discriminated against at work. High asset divorces and personal injury litigation are our strong suits. Many attorneys in the state of Florida or other areas of the country refer their clients to us, because we excel in those practice areas and always put the client’s needs first. We have the necessary resources to take a case to trial, and we are dedicated to work hard on your behalf to maximize each case’s potential. The law is complicated, which is why we’re here to help. Many of our clients come to us, not knowing what their next course of action should be. Whether you’re going through a difficult divorce, dealing with legal challenges for running your business, or suffering as a result of being hurt or injured due to someone else’s negligence – you can make an appointment with us to get your questions answered. Our initial consultations are always free and will give you an idea on how to proceed with your case. The Harr Law Firm is happy to help you in any way we can. Give us a call anytime or use our contact form on the website to get in touch.